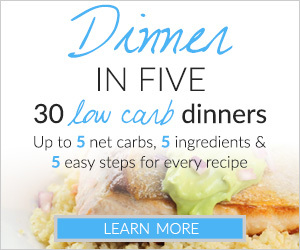 Home » 10 Ways to Vary Your Healthy Low Carb Sides! A basic combination of healthy mixed vegetables can be prepared many ways with a few basic tweaks. These 10 simple ways to vary your favorite veggies can help save you from low carb veggie boredom! Healthy low carb vegetable side dishes = LOVE at my house. Do you love your vegetables? I had a great conversation with my Facebook followers a while back. 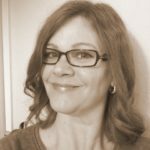 I noticed that the recipes that get the most attention on the blog are low carb dessert recipes. So, I asked them what kind of recipes they wanted to see more of. I was surprised that the overwhelming response was to see more savory dishes and help with low carb side dishes. Since I posted a great roundup for 45 Perfect Low Carb Pie Recipes around the same time, I created this post for those looking for an easy vegetable side dish. I do strive for balance. 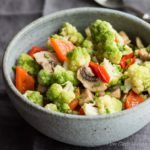 I like that this dish takes three of the most low carb friendly vegetables and, with some simple tweaks, varies the flavor and texture so you don’t feel like you’re eating the some old thing. 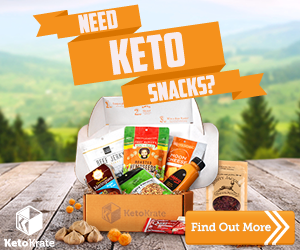 Just so you know, you can use this technique with almost any of your favorite low carb vegetable combinations to create a fast and easy low carb side. 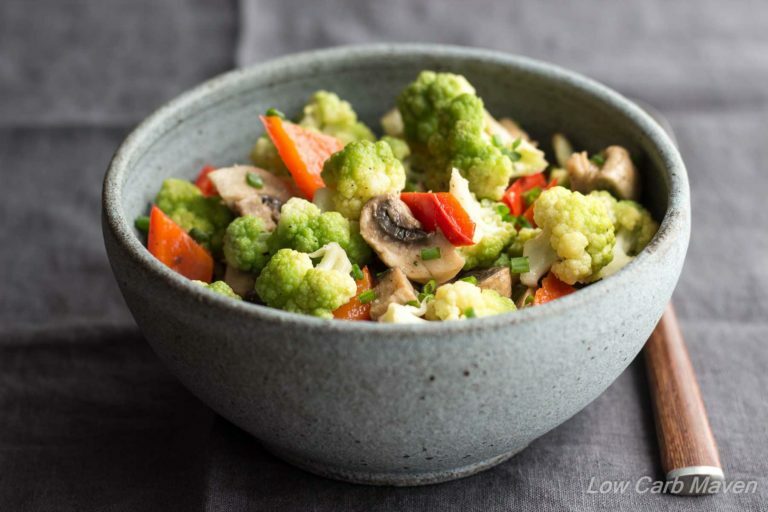 For this simple vegetable melange I chose to use green cauliflower, mushrooms, and red bell pepper. The basic recipe is listed in the recipe card below with three options for cooking. But here in the post, I’ll offer several ways to change-up the basic recipe. These are simple changes that produce subtle differences in flavor and texture. Of course there are many more options available, these are just what came to me in a few minutes. 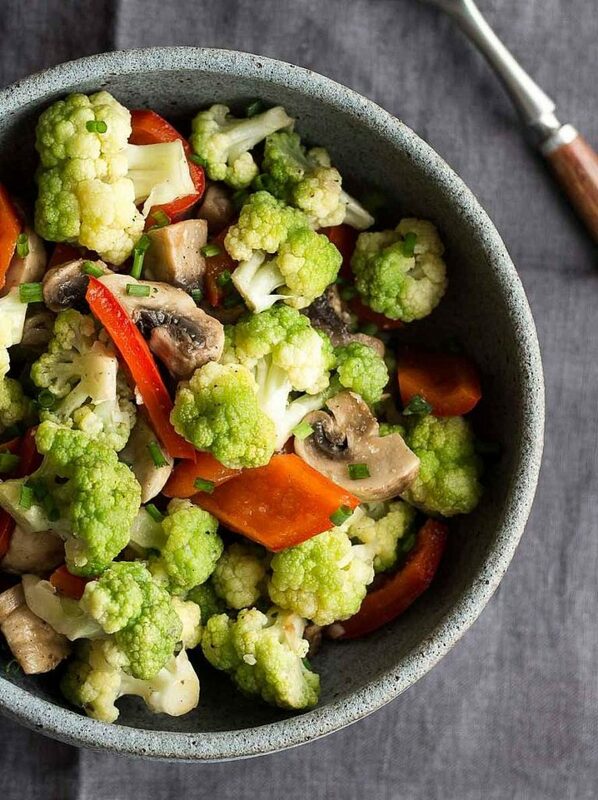 10 Simple Ways to Vary Your Vegetables! 1. Sub Balsamic vinegar for the red wine vinegar but add .5 carbs per serving. 2. When sauteing, omit the vinegar, salt and pepper. Add 2 tablespoons of Dry Vermouth or Dry Sherry towards the end of cooking. Let the sharp smell of alcohol burn off, and the liquid reduce before adding the butter and removing the veggies from the pan. Season with salt and pepper (or your favorite seasoning blend) to taste. 3. Add your favorite seasoning blend to the veggies before cooking or a smaller amount after cooking for a little kick. I like lemon pepper, Cajun seasoning, or this Garlic & Herb Seasoning. Omit the salt and pepper from the recipe, waiting to season after cooing to avoid over seasoning. 4. Sprinkle Parmesan cheese (or your favorite cheese) over the veggies after cooking. 5. Sub lemon juice for the vinegar and add lemon zest and fresh chopped parsley to the vegetables when you add the butter. 6. Sub Lime juice for the vinegar and add chopped fresh cilantro to the vegetables when you add the butter. 7. Instead of butter, add your favorite creamy salad dressing. A spicy ranch dressing tastes great! 8. Omit the vinegar, cook the vegetables your preferred way, and then toss with your favorite oil and vinegar salad dressing. 9. Do not cook the veggies, but let them marinate in your favorite oil and vinegar salad dressing while you prepare dinner and then serve cold. You can add fresh herbs to boost the flavor even higher. 10. Instead of garlic, use 1 tablespoon of minced shallot, green onion, or chives. 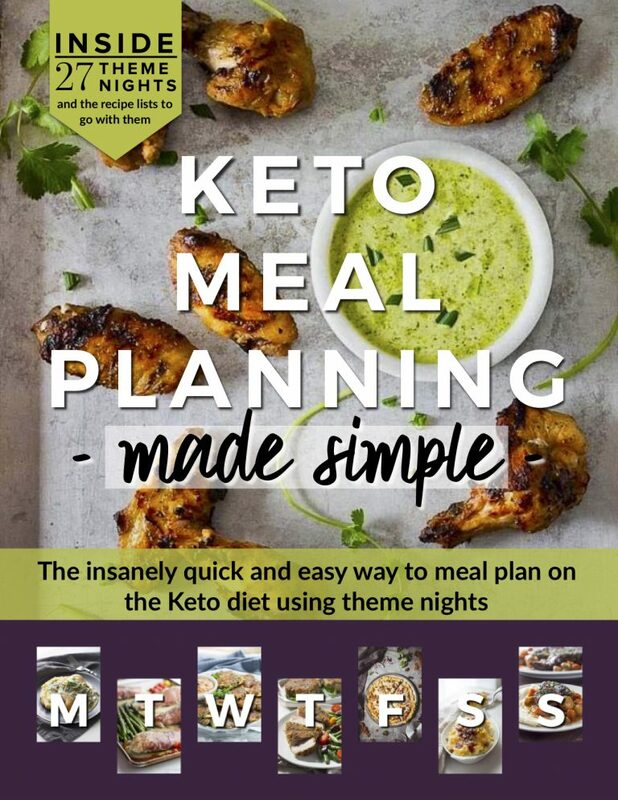 Each serving of this simple low carb keto vegetable side dish is 4 net carbs. A basic combination of healthy low carb mixed vegetables can be prepared different ways with just a few easy tweaks. Oven: Preheat the oven to 400F. Combine all of the ingredients except for the butter onto a sheet pan and roast for 15-20 minutes. Remove from the oven, toss with the butter and serve.